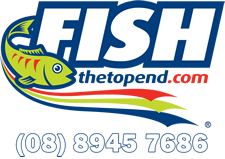 Fish The Top End has taken due care to verify and check all information in this web site as at the time of compilation. However, as the relevant operators supply this information, Fish The Top End accepts no responsibility for any inaccuracy contained in this web site or information as so supplied. Sales of services as contained in this web site are made by Fish The Top End, only as an agent for the person, business or company providing the services. Fish The Top End does not accept responsibility for any changes in price variation of services shown. All services and prices are subject to change without notice. All costs shown are in Australian Dollars and are inclusive of GST. Prices are subject to change without notice. Accommodation costs are for room only and do not include transfer or breakfast cost unless otherwise stated. These operators reserve the right to alter itineraries/locations at any time as a result of fire, flood, extreme weather conditions or any other circumstance beyond their control. Airfares (unless specified) airport taxes, any costs incurred en route to and from the destination, meals (unless specified), alcoholic beverages, telephone calls, items of a personal nature, and personal services not specified as being included in costs with information on this web site. A 30% deposit of the total booking cost is required to confirm all bookings. 90 days prior to tour for extended tours. if for an extended tour it is less than 90 days away. Deposits are non- refundable unless we can fill the cancelled trip. Bookings Cancelled outside 30 days incur a 30% charge of total booking cost. Bookings Cancelled between 30 – 15 days incur 75% charge of total booking cost. Bookings Cancelled inside 14 days incur 100% charge of total booking cost. Bookings Cancelled outside 90 days incur a 30% charge of total booking cost. Bookings Cancelled between 90 – 30 days incur 75% charge of total booking cost. Bookings Cancelled inside 30 days incur 100% charge of total booking cost. We recommend that all customers take out travel insurance for their trips. It is a condition of booking that you agree to take out some type of travel insurance to cover any unforeseen events. Whilst it is extremely rare that we would cancel a trip we believe travel insurance is a wise investment. This insurance will not only cover us should you not be able to make the trip but also yourself should a weather event result in the cancellation of your trip. Before taking any travel insurance from any company, please read the full product disclosure statement and be satisfied that the policy provides you with appropriate cover for fishing in Australian domestic waters, as well as sufficient cancellation coverage for the trip and your travel expenses. In the event that a trip is cancelled due to weather-related circumstances, we cannot accept responsibility for any loss of trip costs, airfares, lost holiday time or any other financial consequences as a result of the booking. We make every effort to conduct all trips on time and to the proposed itinerary, however we are unable to take you fishing in the event that a tropical cyclone warning or a strong wind warning is issued by the Bureau of Meteorology for all or part of your trip, in the event of any other natural disaster that prevents us from running your trip, or if wind speeds exceed the safe operating limits specified for our operation by the Australian Maritime Safety Authority. Financial consequences of any fishing time that is missed and any travel connections or accommodation bookings that need to be changed as a result of these unforeseen weather events, is to be claimed on travel insurance. 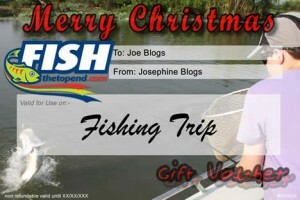 We ask that each guest is responsible for the security of their own belongings whilst on the fishing tour. Weather cancellations and delays, extended tours/charters. Cancellations/delays due to weather are at the discretion of the skipper/guide. Guests will be notified as soon as possible regarding any delays or cancellations due to weather. In the event that a trip is cancelled or delayed, due to a strong wind warning, tropical cyclone warning or other natural disaster, or other weather conditions that exceed operational safety limits, the travel insurance you have taken out will need to cover cancellations or reductions in trip length, any rescheduling of flights and accommodation. We do not offer a trip refund for weather-related delays, cancellations, or reductions in trip length, but we will do everything possible to ensure that you have everything you need to make a claim on your travel insurance. We take your safety very seriously in the remote environments we operate. Please advise us if you have any medical conditions which we need to be aware of. We also ask that you tell us of any allergies or food related issues so we can cater accordingly. Please advise us of this well in advance of your trip. If there is a chance that you may require an EPIPEN in the event of an allergic reaction, please make sure you bring one with you, and that you alert our crew as to its location and use. Boats have an AMSA required medical kit onboard and our crew are trained in First Aid. However, we need you to be aware that you are travelling to a remote location and while we have taken every step to ensure your safety, there are still risks involved with being in a remote location, should a medical emergency occur. We take the duty of care to each and every guest very seriously, but it must be accepted that risks still exist. When joining one of our fishing trips, you do so with the understanding that we cannot be held liable for any harm that may come to you as a result of this trip. You also agree to adhere strictly to all safety procedures and instructions given by the skipper/crew/guide at all times. During the course of your trip you will need to be able to climb from the mothership onto any smaller vessels. This is not at all difficult, and assistance is always provided by the crew, but we do ask that you take extreme caution when moving from one vessel to another. Just follow the instructions from the crew when boarding and disembarking vessels, and always take your time and ensure a good safe footing. All garbage will be disposed of according to our onboard guidelines, and nothing is to be thrown over the side of any vessel while in these pristine areas. Smoking is permitted on the mothership, as per crew instructions. We are very strict on the enforcement of where you can smoke, as we usually have a large amount of fuel stored around the vessel and hot ash poses a major safety hazard near fuel breathers. All meals onboard Tropic Paradise are catered for by our chef. If you have any food allergies, or any special dietary requirements we need to be notified of them at least 6 weeks prior to departure for your trip, otherwise we cannot guarantee that we can accommodate these special requirements. Alcohol requirements are on a BYO basis, please let us know your requirements and we can arrange to have it onboard for your arrival. We can wash a small number of clothes onboard at a small fee per load. We do have to make our own water and therefore we do need to limit the washing of clothes.